Police hung a sheet over the doorway to keep the horrific scene from view. UPDATE 05/23/13: The father of a young boy killed by a family pit bull issued a strong warning about the breed in a WSBTV interview. Back in April, Beau Rutledge, 2-years old, was savagely attacked by his family's pit bull named Kissy Face. The family had owned the dog for 8 years prior to the attack. The scene was so gruesome -- described as being in a horror film by a witness -- that authorities hung a sheet over the doorway of the family's home to keep the scene hidden. Jeremiah Rutledge told WSBTV that his family has not returned to its Sierra Trail home since Beau was killed on April 24. 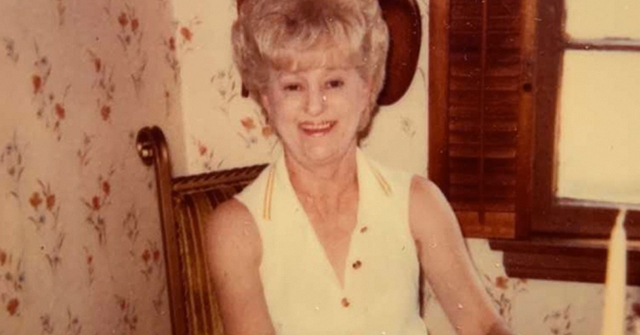 Rutledge described the chaos of rushing home and trying to reach his son. "I was trying to get in. The cops, they were fighting me they were saying 'No,'" Rutledge said. Police used a Taser to subdue him. Police reported that they did so to protect the crime scene from being contaminated. Rutledge said that his faith is getting him through this difficult time. The WSBTV interview also said that the pit bull has been put down. But beforehand, the animal underwent temperament testing for aggression. The tests came back negative. The Fulton County Medical Examiner's Office confirmed that the young boy suffered sharp and blunt force trauma to the head and neck, consistent with a dog attack. Police confirmed that the boy's father was Tased at the scene (View: partial police report). Police said the father, overwhelmed with grief by the death of his son, was trying to enter the secured crime scene, the father's own home. Police said they had to protect the crime scene from being contaminated. "This is one of those parts of the job we don't like doing. But we have to protect the crime scene until we know what has happened. We must look at all the possibilities. We can't contaminate the crime scene," McBride said. 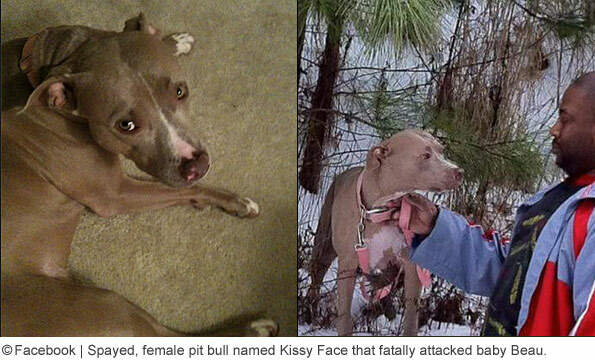 A report from WSBTV yesterday said the name of the attacking pit bull is Kissy Face. On Wednesday, Kissy Face, after 8 years of living with the family, savagely attacked the family's 2-year old son, killing him. As police officers, emergency medical responders, animal control and news media teams swarmed the Wexford subdivision, the scene became "surreal" heightened by police Tasing and restraining a distraught father trying to reach his son's dead body. The Atlanta Journal-Constitution (AJC) reports that the Fulton County Medical Examiner’s office identified the boy as Beau Rutledge. 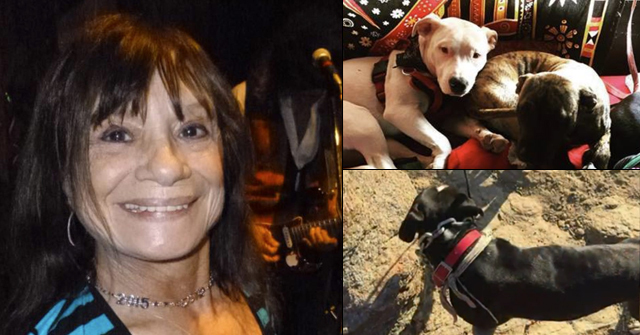 Over the course of Wednesday evening, news stories emerged detailing the deadly pit bull attack. WSB Radio reports that neighbors called the scene "surreal" and first responders simply said, "horrible." 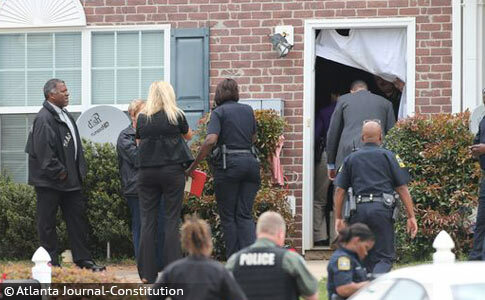 As seen in the AJC slideshow, a sheet was hung over the doorway of the family's home to shield the horrific dog mauling scene from view. A detective told Channel 2's Craig Lucie that first responders told their colleagues not enter the home because it was "too gruesome." During Detective Melissa Parker's statements, concerning first responders, she said, "They were rattled when they came out from what they saw. Tears. Some in tears." Neighborhood children were crying and being comforted by adults as well. CBS Atlanta footage showed the child's father so upset that he had to be restrained by police. The group also showed footage of two women who saw inside the family's home, "It was like a horror movie. It was like something I've never seen before," said one. "We're traumatized. The images are still in our minds." 11 Alive told the same story and added that neighborhood children watched as the medical examiner took the child's body away, watched as the mother was taken away in an ambulance and watched as animal control hauled away the family's pit bull. A horrific fatal dog mauling, as what unfolded in this neighborhood, is often a multigenerational community trauma, particularly when young children are killed. Earlier news reports said that pit bulls are common in the neighborhood. These pit bull owners now must weigh all they have been led to believe about the breed versus what they just witnessed: A well raised pit bull that had been with the family for 8 years, and the child's whole life, suddenly savagely killed the child. Fulton County police confirm that the dog involved in the most recent U.S. dog bite fatality is a pit bull. 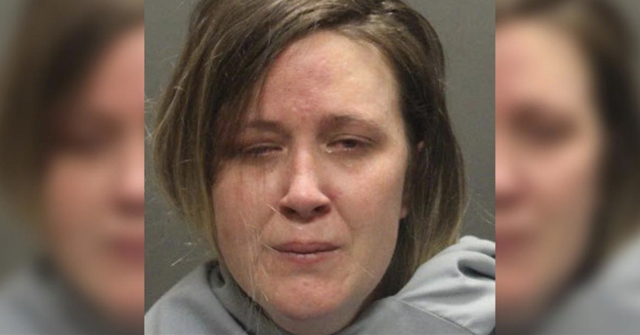 Police said a woman called 911 saying that a dog had attacked her 2-year old son. Investigators said the woman was home with her child and the dog at about 1:30 pm Wednesday. She said that when she stepped away to go to the restroom, "everything was okay." When she returned to the room, it was clear that the pit bull had attacked the child and killed him. Detective Melissa Parker with the Fulton County Police Department said the dog had been part of the family for the past 8 years. The animal remained inside the home in a contained area for over an hour after the horrible attack. Joseph Messam, a neighbor, said heard the screams of the child's mother who ran outside of the home and was on the ground. Oliver Delk, administrator for Fulton County Animal Services said: "We don't know what made it attack the child as it did." Fulton County, GA - In a developing story, Fulton County police report that a child is dead after being attacked by a dog. The attack happened on Sierra Trail in the Wexford subdivision. It is unclear who the dog belongs to, but neighbors told CBS Atlanta that the young child was attacked by the family pit bull. Neighbors also said the mother was present during the attack. The father was at work and rushed home. Neighbors said police had to use a Taser on the father. This is very difficult, Colleen. I feel that the Nutter GODS MUST BE ANGRY…because the nutters have just sacrificed up the the PIT GODS …ONE MORE CHILD !!!!!! I am not sure if I am more angry or sad. The family pet for eight years. Whenever people try to tell me how sweet a pit bull is I tell them they all are until their genetics kick in. I had to check the date on the article about seven times. Then I checked it again. Be sure to hit refresh so you can see the latest updates. Team Nutter is out in force spreading the unfounded rumor that this pet was chained. Looks like a nice townhouse community. How many chained up pits do you normally find in a small backyard like these have? Another moron questions how long the mother was in the bathroom, and implies that she must have heard the mauling, but didn't do anything – that she wanted her kid dead. Are you kidding me?! I understand why more and more sites are disabling comments – so these insensitive asshats don't get a chance to inflict more trauma while they praise their murder dogs. I could be in the bathroom for 4 hours if I want to and know that my dog will not maul anyone. What these insensitive nanny-pushers are really saying is: Don't leave old trustworthy Nanny alone with your child for even a second or it will kill your kid. Don't even think about taking a shower! Orangedog, showering is absolutely out of the question. As in the case last year with the woman who was killed by the pit bulls while her husband went next door to shower. And that was with an adult victim. This is the attack I was referring to when I emailed you back tonight- Completely Devastating! It really hit home b/c of the info I spoke with you about via email today..Again Thank you for your quick response..I am desperately hoping to get some kind of resolution to my situation SOON! 1987: "Pit bull terriers are six times more apt to attack people than other dogs are, Mark Paulus, a Humane Society official, told a House subcommittee considering legislation to control vicious dogs in Georgia"
Everyone please take a moment to look at the Georgia DBRF map and note where the CDC sits. It is nearly obscured by all the Pit Bull DBRFs near Atlanta! "Team Nutter is out in force spreading the unfounded rumor that this pet was chained." I bet team nutter will ignore the neighbors comment in one of the interviews that the father "walked the dog every night". Obviously that kind of information will not work in their belief that this dog had to be "abused" in some way. "It was like a horror movie. It was like something I've never seen before," said one woman who asked to remain anonymous. "We're traumatized. The images are still in our minds. I can still see the baby." From the interview that Truthbird posted. I wonder what the guy that is late in the interview and holding his child, "trains pitbulls" to do. He will no longer keep them at his house. "They are not all bad". Nope, not until that day they remember they are a pit bull, then all he** breaks loose. Now this has had time to sink in, I'm now wondering what this father had to be restrained from doing. The pit bull is going to be kept for behavior testing. This means the owner not only has not requested immediate euthanasia but also wants the pit bull back. I wonder if this 'distraught' father was trying to get to his wife to beat her up for leaving poor pittie-poo with the bad, bad baby. Or was he trying to stop police from taking his poor, poor pittie poo. Something is really wrong with this picture, ya know. If he wanted to kill the dog, he still could. It's his, he can have it euthanized as he pleases. Or not, as apparently is the case. I can't help it, and I hope I'm wrong, but this 'behavior testing' stuff suggests he wants his undog back. Many in the Wexford subdivision off Stonewall Tell are sad that Beau Rutledge tragically died when police said the family's pit bull, named Kissy Face, attacked him in his home on Sierra Trail Wednesday afternoon. "Friday evening, 11Alive learned the dog has been acting "normal, like a family pet" in the days following the attack, according to Lara Hudson, executive director of Fulton Co. Animal Services." When my dog, a Doberman Pinscher who was laying on the couch, was attacked there were no sounds. My dog could barely get a cry out because the pit bull had her by the throat. There was no growls like you would expect in a dog attack. This is so tragic, and another horrible result of the dangerous propaganda put out by people like Jane Berkey, Karen Delisle, Ledy Vankavage, et al. 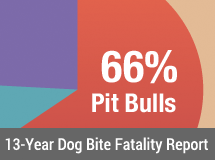 who insist that pit bulls are not dangerous and are fine as family pets. The owners of the dog were likely influenced by all the misinformation out there which insists that pit bulls are "nanny dogs" and are safe family pets. The reality is that this dog displayed a behaviour that was been selected for by the dog fighters that developed this breed. That behaviour is the 'grab and shake and don't stop' bite style it displayed. Most dogs will bark or snap at something that annoys them, but a pit bull can bite, grab, and then disfigure or kill. The plain, undeniable fact is that if that propaganda about pit bulls weren't so widespread, these people may have chosen another dog breed as a family pet and their child would be alive now. Their child and the other ten that have been killed by pitbulls in the US this year. Bites are fairly common in the dogfighting fraternity but generally nothing worse than a broken are or leg. They never report it as a dog bite. I think two things are at play in this. For one the bad guys contain them on chain and axle sets. The other is that from the time a dog first begins to show signs of incipient start their aggression is channeled to other dogs. The aggression itself is not species specific, it's just channeled in a specific direction. Dogfighters know what these dogs are and what they're capable of doing. Apparently the average neonutter dingbat is not as bright as the average dogfighter. That's a really scary thought.